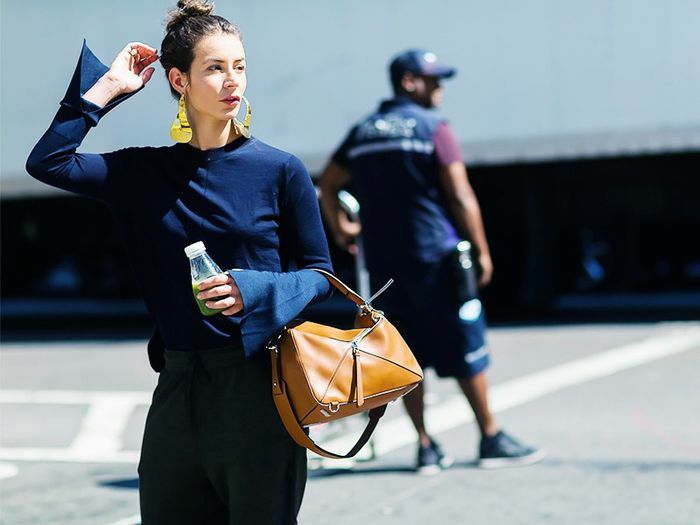 When it comes to our spring wardrobe, one of the more thrilling purchases to make is the accessories—particularly bags. Our dark leathers and suedes can be swapped with woven fabrics and bright, bold colors and prints. So what’s on our shopping list for next season? We’re glad you asked. We’ve noticed a slew of straw basket bags on the arms of some of our favorite style setters (Veronika Heilbrunner and Anna Dello Russo, to name a couple). Not only do we appreciate the fresh, youthful quality to these purses, but we also can’t help but get major Jane Birkin vibes looking at them. Scroll down to see our current favorites! What do you think of these bags? Tell us if you'd carry one in the comments below!